Thank you to MakerBot Industries for the opportunity to exhibit a collection of my 3D printed artwork in their exhibit at the 2013 Consumer Electronics Show. We have a common interest in demonstrating that with the right finishes and attention to detail, consumer-grade 3D printers can already produce objects of art worthy of public and private display—objects of desire that show that the 3D scanned and printed future is now. With my collection for CES, I’ve attempted to merge those themes with another. I have chosen a theme of “3D Printed Portaiture: Past, Present, and Future” in an effort to convey a sense of the weird mix of technology, futurism, timelessness, and anachronicity I see surrounding the young 3D scanning and printing industry, and to point out the bright, burning hunks of science fiction streaking across the sky, just starting to hit the Earth. The prints’ theme covers a span of at least 1.7 million years of human(oid) history—aeons more if you count the promise of unlimited remix, adaptation, copying, and originality 3D scanning and printing are opening up for us right now. Exploring the then-unknown sites of east Turkana near Ileret in 1969, Richard and Meave Leakey and their party were walking along a dry sand river when they saw, looking directly at them, this skull of ER 406. It had some sandstone adhering to the orbits and was without teeth, but it was otherwise complete. It appeared to have rolled out of the dry river bank during the last rains and would most certainly have been washed away during the next rainy season. 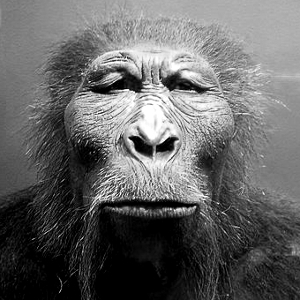 This skull is the same species as OH5 (Paranthropus boisei), which Mary Leakey had discovered at Olduvai Gorge almost exactly 10 years earlier. The skull has the characteristic pronounced sagittal crest running along its top, and would have been a male. 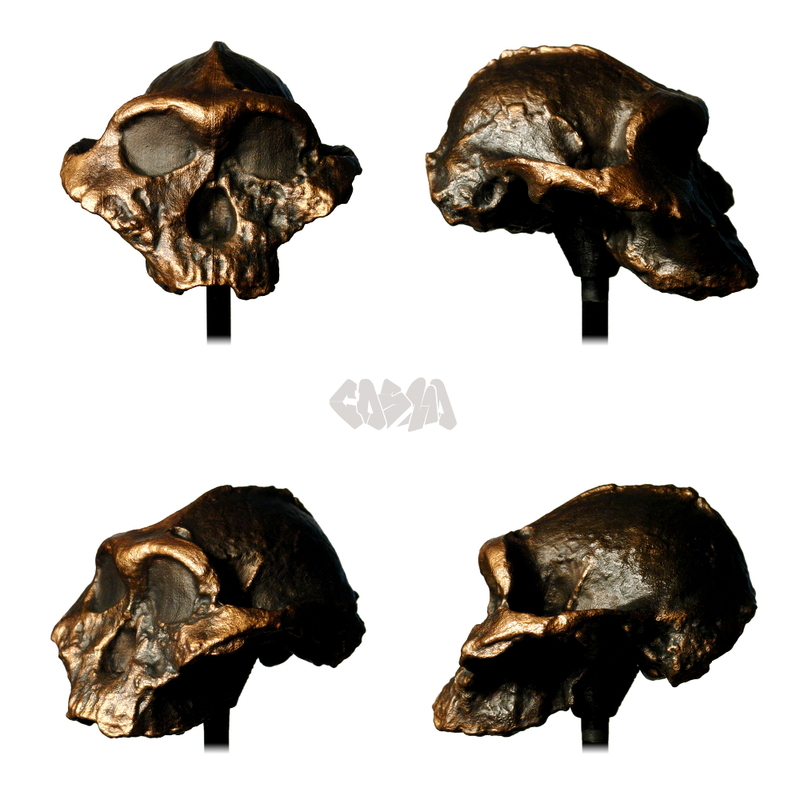 I printed this striking visage on behalf of Louise Leakey and her AfricanFossils.org. 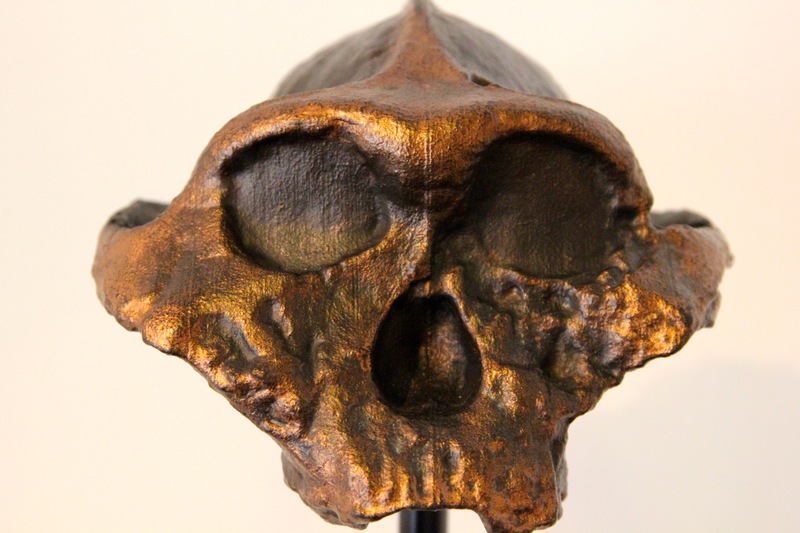 Leakey and her foundation are interested in getting inexpensive, high quality fossil models into schoolkids’ hands in classrooms around the world. 3D printing seems like an ideal solution, and this print was a proof of concept, and the object of a bit of troubleshooting. The scan was made by Autodesk. 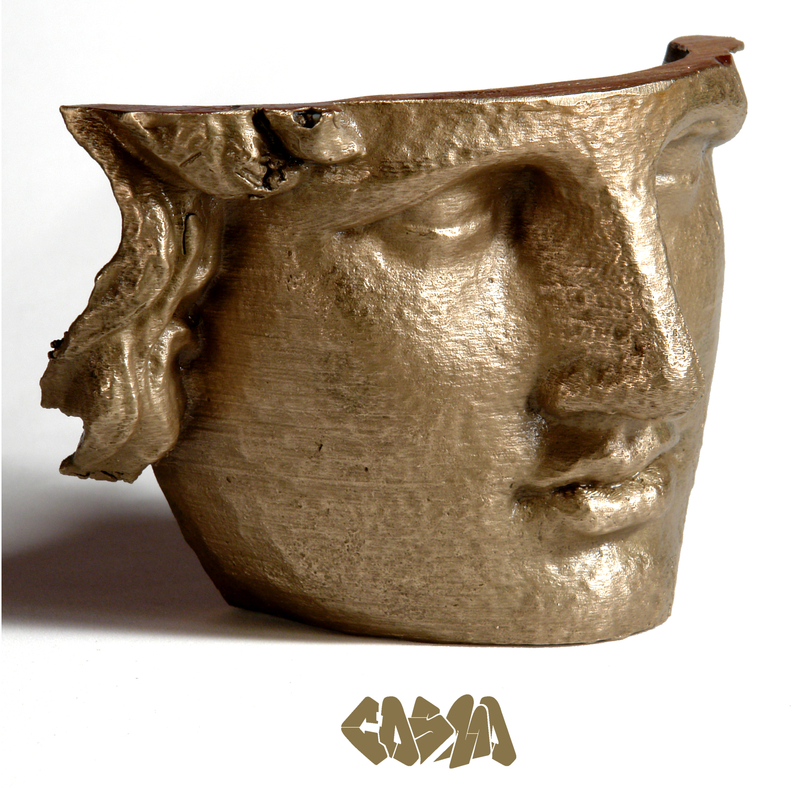 I printed it on a MakerBot Replicator and finished it in bronze with Alternate Reality Patinas. With Ms. Leakey’s kind permission, my finished print will be displayed at the 2013 Consumer Electronics Show, in the MakerBot exhibit. 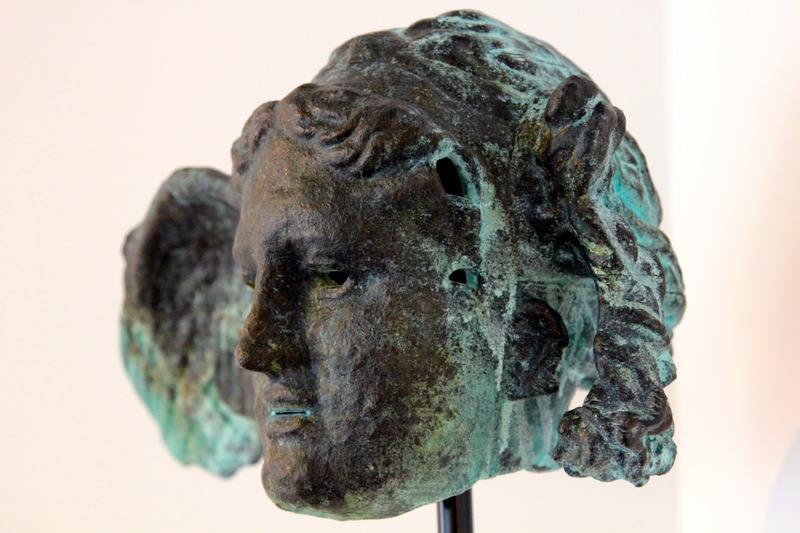 Bronze Head of Hypnos, God of Sleep, circa 100 B.C. There’s something surreal about the whole scan/edit/print process that’s hard to describe. Like a dream, it needs to be experienced to be appreciated. 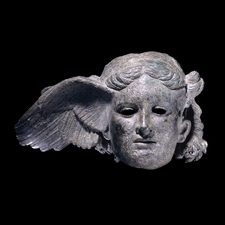 But if there are sculptures that resonate with and might be able to communicate some of that weirdness, the ancient bronze Head of Hypnos in the British Museum is one of them. The subject: the god of sleep, father to Morpheus, god of dreams. The design: an odd asymmetry—the single wing, the missing wing, the ambiguous gender. The whole package makes for a remarkable artifact of otherworldliness that has spoken to people across time. In 1909, when he was on his way back from a tour of Syria, T. E. Lawrence (“Lawrence of Arabia”) passed through Naples and wrote a friend “The bronzes in the Naples museum are beyond words.” Lawrence visited a Neapolitan bronze foundry and bought a cheap, flawed freehand copy of the bronze Hypnos head now in the British Museum. The whereabouts of Lawrence’s Hypnos are unrecorded, but a friend of mine has good reason to believe he owns it (but that’s another story), so I’m in a bit of a friendly competition to get one of my own—and now I have it. 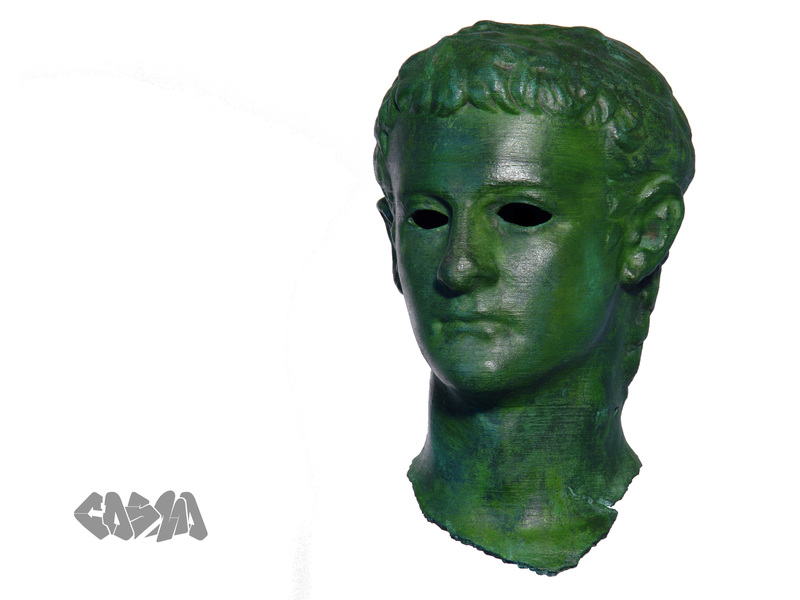 I scanned Hypnos in the British Museum using Autodesk 123D Catch, printed it in PLA on a MakerBot Replicator, and coated it in bronze with a blue-green patina with Alternate Reality Patinas in an attempt to make it appear as old and hypnotic as the original. Colossal Bust of Alexander the Great, known as “The Inopos”, circa 100 B.C. “It is clear that in antiquity Alexander was a chameleonlike figure indeed, more a paradigm than a person. For not only was his own character multifaceted and contradictory, but his achievements evoked wildly divergent and contradictory responses from those whom it touched. So he swiftly became a cliché—or rather a set of clichés or topoi—to be evoked in images that are wildly divergent in character, quality, type, provenance, date, and, apparently, purpose. 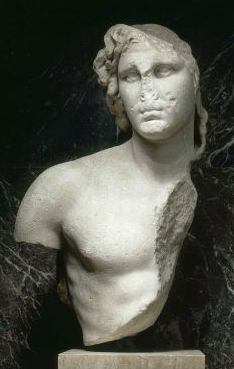 Originally thought to represent the Cycladic river god Inopos, the nearly one meter tall fragmented bust known as “The Inopos” is now accepted as a portrait of Alexander the Great. If the full figure had survived intact, it would stand at well over eight feet tall—god scale. At the Louvre, the imposing, larger-than-life figure hides in plain sight, largely unnoticed, staring down at the crowds that flock to see the Venus de Milo just twenty feet away. 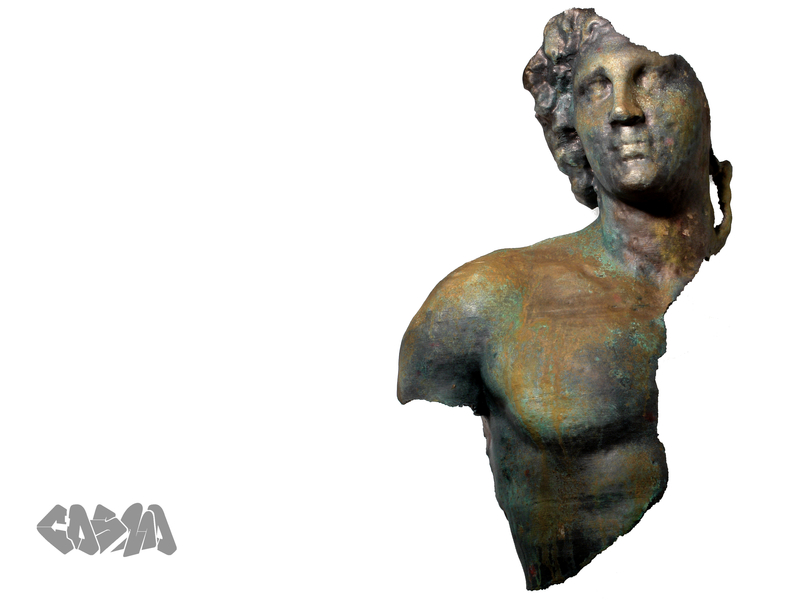 I scanned the original in the Louvre in October 2012 using Autodesk 123D Catch. Using Blender, I digitally restored its damaged nose using a nose I scanned from a portrait of Alexander at the British Museum. I printed the piece in PLA on a MakerBot Replicator2 and reinvented the print in weathered bronze with Alternate Reality Patinas. Head of Emperor Caligula, circa 40 A.D. Almost all portraits of the extremely unpopular emperor Caligula were destroyed after his assassination. 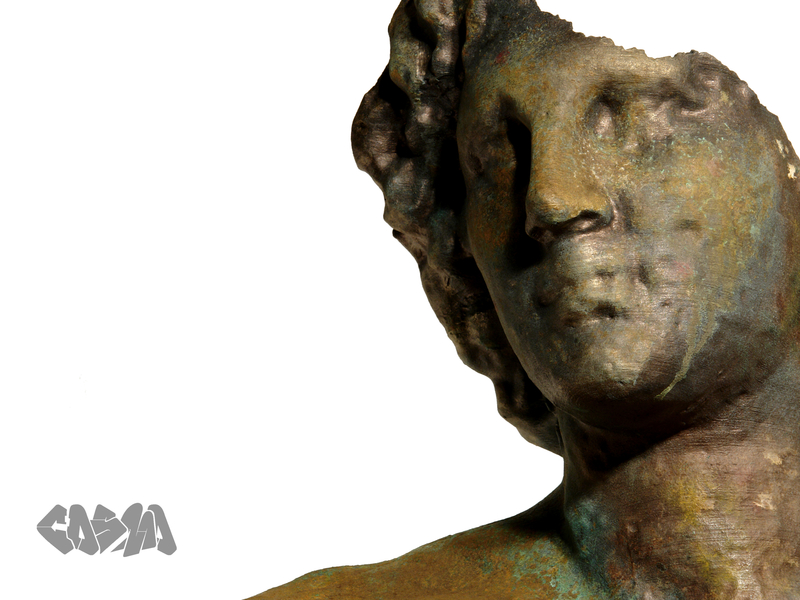 The Getty Villa holds a surviving marble bust, which I scanned with Autodesk 123D Catch in November 2012. “The Romans had a long tradition of portraiture, but portraits of emperors had a specific propaganda function beyond that of ordinary portraits. The actual appearance of the individual was combined with the political message that the portrait was meant to convey. 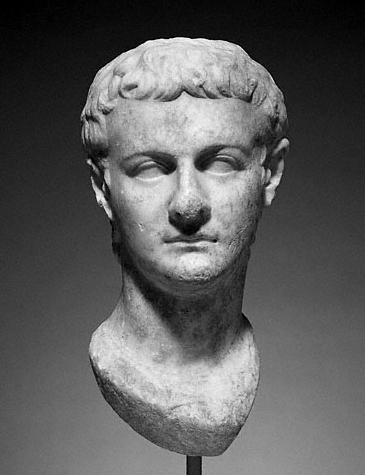 Portraits of Caligula show a young man with a high forehead, small mouth, and thin lips. He is identifiable as an individual, yet his hairstyle copies that of the emperor Augustus, making a deliberate allusion to his dynastic connection and his right to rule. I digitally repaired the ears and nose of the Getty’s portrait, used Alternate Reality Patinas to finish my print in bronze, and attempted to imitate the patina and fracture of the Metropolitan Museum of Art’s beautiful bronze portrait of Caligula’s grandfather, Marcus Agrippa. My piece’s green is still fresh and a shade or two on the bright side, but it will darken some as the patina oxidizes over the coming few weeks. I scanned a cast of Epstein’s bronze portrait in August 2012 in the Birmingham Museum and Art Gallery, where it is displayed in a gallery where visitors are encouraged to touch the artwork. I used Autodesk 123D Catch to make the scan. I printed the piece in PLA with a MakerBot Replicator and finished it in bronze with Alternate Reality Patinas. This study is my first attempt at the outright duplication of a sculpture scanned in situ in a museum, and I am pleased with the result. My scan captured the rough volume of the features’ broader strokes, though not all their individual contours. More time photographing and better lighting would certainly yield a more faithful model. 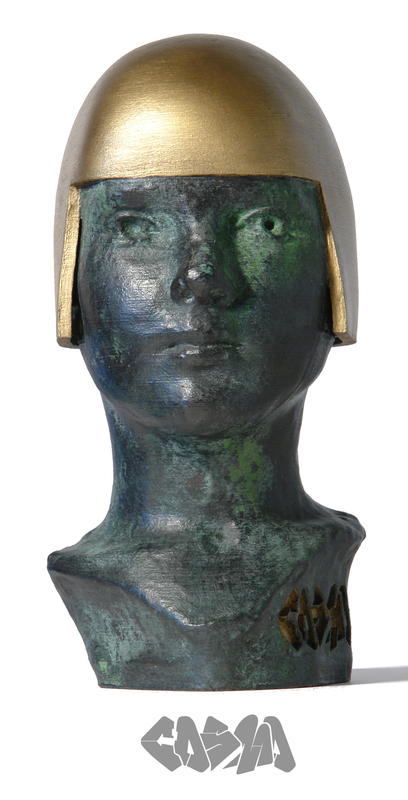 This subject may be a bit of a cheat, though; Epstein’s loose style is particularly forgiving, and the nearly uniform, dark bronze patina is pretty straightforward to approximate. 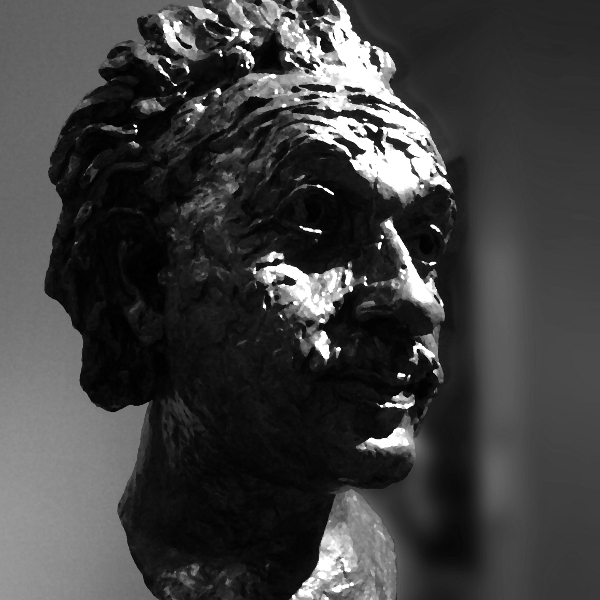 And, of course, Einstein’s iconic face is so memorable and easily recognizable. His spark leaps through any medium. 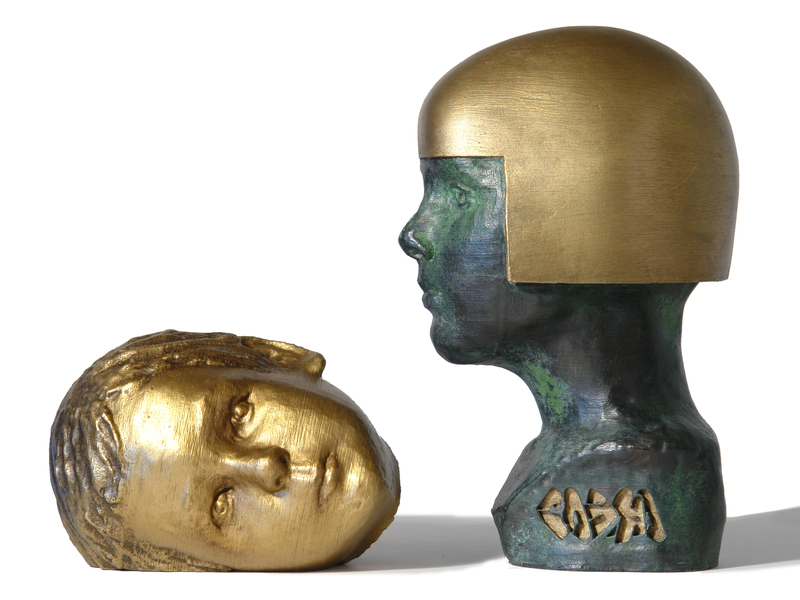 I scanned two privately held, traditional busts of children and remixed them with two powerful, otherworldy, and futuristic sculptures I admire: Constantin Brancusi’s 1910 Sleeping Muse and Jacob Epstein’s 1915 Portrait of Iris Beerbohm Tree. I used Autodesk 123D Catch to scan the conventional busts of the children, edited them using MeshMixer and Blender, and incorporated details and styling from the century-old museum pieces from photo references. I printed the results in PLA with a MakerBot Replicator and finished them in bright and patinated brass with Alternate Reality Patinas. I’m not sure what it says about my own perception, or about the current (stale?) state of science fiction imagery, but the futuristic iconography that most resonates with me is from futures conceived long ago. William Gibson “giving up” on predicting the future comes to mind, and fits into the picture somehow. I also think of Disneyland restyling Tomorrowland, moving away from a 1960s brute force engineered future, and toward hundred-year-old Jules Vernesque fantasy imagery. In August 2012 I scanned the British Museum’s Marble Portrait of Alexander the Great. I printed three life-size reinventions and presented them at the 2012 London 3D Print Show. You can see them here. Taking a fragment from that same scan, I have recently produced a copy in bronze. Not a bronze finish, but solid bronze. It should last many, many millenia. Longer, I would think, than the original marble. The scan-to-print-to-bronze process I used to create my bronze portrait of Alexander is still experimental, but I am extremely happy with the early, very promising results. I’ll have the bronze with me at CES 2013. I am eager to try more, much larger pieces, and if you are interested in realizing any of my scans—or your own designs or scan commissions—in a truly timeless material and setting them on a trajectory for the deep future and myth, let’s talk. Venus de Milo vs. The Inopos mindshare competition at the Louvre. Note the visitors’ gazes. 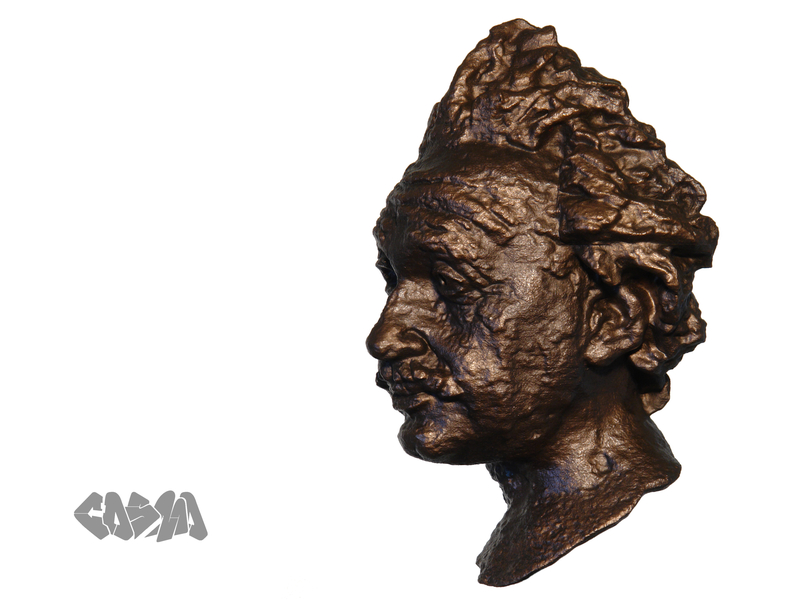 This entry was posted in 3D Printing, 3D Scanning, Alternate Reality Patinas. Bookmark the permalink.